This year’s top award goes to a truly remarkable group that has made amazing strides touching hearts, changing minds, saving lives and building a culture of life on their campus and in their community. Students for Life at the University of Michigan has excelled as part of SFLA’s Pregnant on Campus initiative, which they started on their campus this past year. They have raised almost $3,000 for their programs, hosted a week-long pregnancy resource drive, organized a pregnancy resource forum and ran an ad campaign on the school’s bus system which they know saved at least one life. In addition to all that, the group brought the Genocide Awareness Project to campus, debated the Secular Student Alliance – during which their opponents admitted that a fetus is a baby and no one on their side wants to kill a baby – and set up a Cemetery of the Innocents display. These events have created buzz on a previously apathetic campus, causing some people to think about abortion for the first time and equipping those people with the information they need to choose life. Teleseminar today at 3:45 p.m.
A Right to Life of Michigan Teleseminar is scheduled for today, Tuesday, January 29, at 3:45 p.m. Please plan to join us! During the Teleseminar, you will hear from Right to Life of Michigan Board Chairman Paul Miller as he reflects on the March for Life in Washington, D.C. In addition you'll hear from RLM Director of Minority Outreach Kathy Crombie and Committee Chair Diane Brookins. Kathy and Diane will provide a highlight of the exciting events planned for Black History Month. Participating with the Teleseminar is easy and free! Teleseminar Time: Tuesday, January 29, at 3:45 p.m. 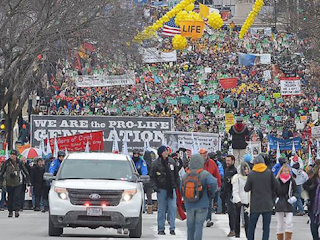 Right to Life of Michigan affiliates and prolife student groups received some local media coverage for their local marches or for their trips to the March for Life in Washington, D.C. Below are links to stories involving the various prolife groups. 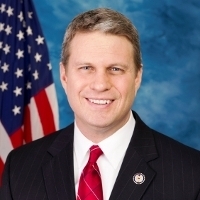 University of Michigan Students for Life trip to D.C.
Prolife people from the diocese of Saginaw traveling to D.C.
Over the weekend, MLive.com posted a guest column by U.S. Representative Bill Huizenga in which he discusses abortion, Roe v. Wade and the HHS Mandate. Time magazine's January 14 cover story succinctly stated the facts. "40 Years Ago, Abortion-Rights Activists Won an Epic Victory with Roe. V. Wade: They've Been Losing Ever Since." Last Friday, about half a million Americans, mostly young, were expected to trek to Washington for the annual March for Life. Sadly, this shift in public opinion has not been reflected in federal policies. Planned Parenthood received a record level of government support ($542 million) according to its own report for fiscal year 2011-2012. In 2011, it performed all-time high 333,964 abortions. On January 25, 2013, at least 500,000 prolifers from across the United States came to Washington, D.C. to peacefully protest the U.S. Supreme Court's Roe v. Wade decision. Owen Groesser is a 13-year-old middle school student with Down Syndrome who lives in Rochester Hills. During a recent school basketball game, he came off the bench and made two three-point shots. His effort was featured on ESPN's SportsCenter as a Top Ten play. Watch the video below of Owen playing basketball and the crowd cheering him on. Unfortunately, far too many children (estimated at around 90%) with Down Syndrome are aborted before they given the chance to succeed. The following video uses pro-abortion President Barack Obama's words as a backdrop to images from the March for Life. Many prolifers are leaving today for the March for Life in Washington, D.C. tomorrow. Our prolife attorney general Bill Schuette has a video message thanking travelers for their efforts and wishing them well. Before and soon after Roe v. Wade made abortion legal through all nine months of pregnancy, abortion advocates promised that legal abortion would improve. They believed that legal abortion would reduce out-of-wedlock births and lower child abuse. Michael New, an assistant professor at the University of Michigan-Dearborn and a speaker at Right to Life of Michigan's 2012 Conference, explains how the exact opposite happened. Legal abortion did not reduce child abuse. In fact, the exact opposite happened. The National Center on Child Abuse and Neglect has reported that child abuse has increased more than 1,000 percent since the legalization of abortion in 1973. According to data from the US Statistical Abstract, deaths due to child abuse continued to rise after the Roe v. Wade decision and increased by 400 percent between 1972 and 1990. The Susan B. Anthony List has produced the following video which features numerous leaders of the prolife movement discussing abortion at a Capitol Hill briefing. Today, the White House released the following statement by President Obama on Roe v. Wade, the U.S. Supreme Court decision which legalized abortion through all nine months of pregnancy. President Obama has a long history of supporting abortion on demand, including favoring the use of tax dollars to pay for abortion. Across Michigan, local prolife groups memorialized 55 unborn children and 40 years of Roe v. Wade by speaking up for life in their communities. On the 40th anniversary of Roe v. Wade, make sure you check out our informative page on Roe v. Wade which discusses the decision, its effects and what the future holds. Francis Beckwith explains Roe v. Wade faulty reasoning and Justice Blackmun's unwillingness to address the moral status of the unborn child. Blackmun’s second reason is just flat out wrong. His analysis of state abortion laws was based almost exclusively on two law review articles written by Cyril Means, an attorney for the National Association for the Repeal of Abortion Laws (NARAL). These articles, along with Blackmun’s use of them, have come under trenchant and withering criticisms in an astonishingly large number of academic periodicals in the past four decades. MLive.com and the Muskegon Chronicle have posted opposing editorials from Pat Vendal, President of Muskegon Right to Life and state representative Marcia Hovey-Wright, which discuss the impact of Roe v. Wade. Pat notes how the vast majority of abortions are elective, discusses prolife laws passed since Roe and mentions the closure of a Muskegon abortion clinic. Tomorrow is the 40th memorial of Roe vs. Wade, the decision which legalized abortion throughout the United States. Below is a link to a speech the late Father Richard John Neuhaus gave to National Right to Life Committee's annual convention. Princeton professor Robert George has called this speech " the greatest pro-life speech ever given." NARAL, a leading abortion advocacy organization, has published it's annual grades on state governments and their laws regarding abortion. The more prolife laws a state has, the worse their grade is. Right to Life of Michigan is proud to once again earn a "F" grade from NARAL. Right to Life of Michigan Educational Fund is airing two state-wide television ads to emphasize the hope and beauty of life. The ad Accusations reminds viewers that to be prolife requires supporting women who are facing an untimely pregnancy. The ad Seed shows the growth and excitement of life. Take part in bringing hope to others by being involved with Right to Life of Michigan. During the 40th week of pregnancy, the big day arrives and the baby experiences a whole new world on a day forever remembered. It’s an experience more than a million of her fellow babies are deprived of every year in America. 3801 Lancaster is a 20-minute documentary film which focuses on Kermit Gosnell's Women's Medical Society abortion clinic. Gosnell was arrested in January of 2011 and charged with 8 counts of murder after authorities discovered the horrific conditions inside his clinic and that he was killing infants who were born alive. The film includes numerous interviews with neighbors, former patients, and testimony from the district attorney's office. The Michiana Abortion Clinic PC located in Niles, Michigan is no longer in business. According to local prolife people, the clinic has been closed since approximately November 2012 and currently has a for sale sign on it. The Michigan Department of Community Health reports that 368 abortions took place in Berrien County (where the abortion clinic was located) in 2011. If you missed the live teleseminar featuring an update on prolife legislation in Michigan, you can still listen to it. Right to Life of Michigan President Barbara Listing and Legislative Director Ed Rivet provided an update on prolife legislation during a recent Teleseminar. Get the scoop on what was accomplished in the 2011-2012 legislative session and what to expect in 2013. MLive.com has an article noting how the recently closed abortion clinic in Muskegon was never routinely inspected by the state of Michigan. No state or local health agency routinely inspected the Muskegon abortion clinic that city officials closed Dec. 26 because of alleged unsanitary conditions. No regulations allowed for such inspections, because Women’s Medical Services, 863 E. Apple Ave., did not meet state criteria for being licensed and inspected, according to a spokeswoman for the Michigan Department of Licensing and Regulatory Affairs. In March 2012, Right to Life of Michigan released a report explaining this problem and the need for all abortion clinics to be licensed and regulated. H.B. 5711 will now require abortion clinics in Michigan to be regularly inspected. During the 39th week of pregnancy, while she continues growing in the womb, the baby’s family is anxiously waiting and preparing for the moment they can see her with their own eyes for the first time. Legislative Update Teleseminar Today at 1 p.m. Please join Right to Life of Michigan President Barbara Listing and Legislative Director Ed Rivet for a Teleseminar today, Wednesday, January 9, at 1 p.m. Barb and Ed will provide an update on prolife legislation. Learn what was accomplished in the 2011-2012 legislative session and what to expect in 2013. Many of you participated in Life Lobby Day to promote life-saving legislation. Your efforts were successful! Learn all the details by listening to the Teleseminar today. Time: Wednesday, January 9, at 1 p.m. The University Faculty for Life is now accepting applications for its Scholarly Achievement Award. The contest is open to undergraduate and graduate students at any level. Students may submit work in three categories: Creative Writing, Literary Criticism, or Research. Work submitted in any category must demonstrate the application of a life-affirming perspective on abortion, infanticide, euthanasia, or related issues. The student scholars who win in any category may be offered an opportunity to read their work before the annual conference of University Faculty for Life to be held 31 May-1 June 2013 at the University of San Francisco. They may have their work published on UFL’s website. Finally, winners in each category will receive $200. Right to Life of Michigan applauds the actions taken by city of Muskegon officials to close Women's Medical Services on December 26, for numerous health and safety violations. Documents and photos recently released by the city of Muskegon indicate the abortion business owner showed little regard for the health or safety of women. Because the clinic was not licensed and inspected as a freestanding outpatient surgical facility, the public can only speculate how long the clinic was allowed to operate under such deplorable conditions. According to a letter from the city of Muskegon fire marshal to the clinic owner, his inspection revealed many unsafe conditions, including unsterilized medical equipment, improper disposal of syringes and numerous leaks in the roof. The photos released by the city of Muskegon reveal a general state of filth that is simply unacceptable in any business or medical practice. House Bill 5711, signed into law two days after the closure of Women's Medical Services, will hold the abortion industry to the same health and safety standards as other medical providers. Right to Life of Michigan President Barbara Listing said, "Patients' safety must be put ahead of abortion profits. Women's Medical Services is a prime example of the necessity for these reasonable regulations." Right to Life of Michigan released a report in March 2012 showing that most of Michigan's abortion clinics are not in compliance with dozens of state laws or regulations. With House Bill 5711 in place, Michigan citizens expect regulators to hold violators like Women's Medical Services accountable to basic health and safety standards. Teleseminar scheduled for January 9 at 1 p.m. Please join Right to Life of Michigan President Barbara Listing and Legislative Director Ed Rivet for a Teleseminar on Wednesday, January 9, at 1 p.m. Barb and Ed will provide an update on prolife legislation. Learn what was accomplished in the 2011-2012 legislative session and what to expect in 2013. Many of you participated in Life Lobby Day to promote life-saving legislation. Your efforts were successful! Learn all the details by listening to the Teleseminar. In response to a Freedom of Information Act request, MLive and the Muskegon Chronicle have received documents and photos which reveal the deplorable conditions inside of the Women's Medical Services abortion clinic in Muskegon. 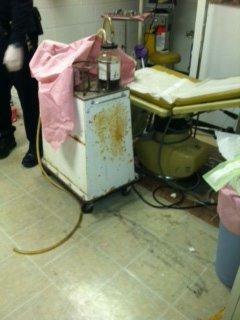 The photos show the roof was leaking in numerous places and the clinic was a disorganized, filthy mess. In previous interviews with media, abortionist Robert Alexander claimed the clinic was in "pristine condition" when he was there last. The clinic was recently closed by the Muskegon Fire Department. Planned Parenthood, America's #1 abortion provider, just released their most recent annual report for 2011-2012. Unsurprisingly, the number of abortions they performed increased to 333,964 in 2011, their taxpayer funding increased to $542 million (which is almost half of their revenue) and they turned a profit of $87 million. While Planned Parenthood often claims that abortion is only a small part of what they do, their annual report reveals Planned Parenthood clinics saw approximately 3 million patients over the year. More than 10% of these individuals had an abortion. A segment from WOOD TV 8 (video below) provides new details about the closed abortion clinic in Muskegon including medical safety issues. A city inspector found alleged "unsterilized medical equipment" and other potential medical safety issues during an inspection that led to the sudden closing of an abortion clinic, according to documents obtained by Target 8. The list of 11 "violations" at the Woman's Medical Center also includes improper dumping of chemicals and "other liquids" down drains without proper authorization, and improper disposal of needles. According to Muskegon Public Safety Director Jeffrey Lewis, the Women's Medical Services abortion clinic in Muskegon won't re-open after it was shut down for violations of the city's fire code. The clinic was run by Robert Alexander, an abortionist with a checkered history including a felony conviction, multiple revocations of his medical license and botched abortions. The eight alleged violations of the city’s fire code -- including containers of hazardous materials not stored in cabinets -- centered on what appeared to be generally poor housekeeping for any type of medical clinic, Lewis said. All could have been remedied fairly easily had the doctor chosen to reopen the clinic, he said. “Poor housekeeping: That was the theme of the whole thing – a state of organization that did not exist. Overt poor housekeeping,” Lewis said. “This location was not suitable to continued operation” as a medical clinic of any kind, he said. For example, cabinets appeared "very dirty" and rusted, and ceiling tiles were discolored from longstanding roof leaks, Lewis said. During the 38th week of pregnancy, the baby has a firm grasp with her hands and is considered full-term at this point. Over the holidays, the Thomas More Law Center won an important victory for religious liberty when a federal judge halted the enforcement of the HHS mandate against Michigan businessman Tom Monaghan. On Wednesday, the Washington Times published an editorial by Right to Life of Michigan's Pamela Sherstad explaining why HB 5711 was needed in Michigan. For too long, the abortion industry in Michigan has been unregulated and unchecked. The bill brings about long-overdue reform and regulation of the abortion industry. This law also is needed to prevent women from being coerced into abortions, to end the reprehensible practice of disposing of the bodies of aborted babies in garbage cans and to avoid the chemical abortion drug RU-486 from being dispensed via the Internet. The law amends the Michigan Public Health Code to bring about these reforms. Characterizations of H.B. 5711 as a regressive attack on women’s rights are disconnected from the reality of the new law. Similar regulations were implemented during 2012 in Maryland and Pennsylvania, with none of the dire consequences that are being predicted for Michigan. On December 26, Muskegon's Fire Prevention Bureau shut down an abortion clinic operated by abortionist Robert Alexander. While talking with the local media after his clinic was shut down, Alexander said he sought the community's input on whether he should attempt to reopen his abortion clinic. A fact unbeknownst to many in the community is Robert Alexander has a history of botching abortions, losing his license and failing to abide by state laws. In March of 2012, Right to Life of Michigan issued a paper regarding the abortion clinic abuses and state regulatory agency failure. Robert Alexander is mentioned numerous times in that report. In May 2006, an allegation was filed against abortion doctor Robert Alexander with the Bureau of Health Professions, alleging violations of Michigan.s informed consent law, among other abuses. The allegation included a document that a prolife individual had obtained outside of Alexander.s WomansChoice abortion clinic. The handwritten document was given to patients along with the required informed consent materials that explain fetal development and abortion procedures. This document indicates that the abortion clinic tells women they do not have to read the state-mandated informed consent materials, the very materials that provide information about the procedures the women are about to undergo and the risks associated with those procedures. More recently, in June 2009, a Grand Rapids OB/Gyn filed an allegation against abortion doctor Robert Alexander, alleging gross negligence in attempting an abortion on a woman who was 26 weeks pregnant.38 The OB/Gyn was providing medical care for the woman after she came into the hospital emergency room, still pregnant. When the OB/Gyn followed up with Alexander, Alexander informed him by phone that he had done a "limited ultrasound," but it was difficult to perform the ultrasound due to the patients. obesity. The OB/Gyn states in the allegation that no matter how obese the patient, the physician "should have visualized a viable intrauterine pregnancy." The patient told the OB/Gyn that Alexander.s office had called her multiple times, offering her a refund of the abortion fee, plus $200. The woman did not accept this offer and retained an attorney. In 1988, a jury trial convicted Alexander of 11 counts of illegal distribution of controlled substances. Alexander served almost two years in a North Dakota prison and was on parole from 1990 to 1996. Alexander has also flouted Michigan's law which requires abortionists to fill out reports on the abortions they perform. Michigan 2011's abortion report does not list a single abortion as occurring in Muskegon County despite the presence of Alexander's clinic. Abortions performed in Muskegon County were also not reported to the state in 2010.